And with gifts like this many were afraid of this kind of power and called her a false teacher… As if God can’t give anyone supernatural powers. With this came lots of trouble not so much with the world but the church. Many thought she was the strangest but her power was real! I recall when I was younger… The days of prayer with the ” Mothers Of Zion” made the first initial impact with being introduced to prayer. … It was when I had my own life crisis’ that I begin to understand principalities and learn more about strategic prayers and I begin to educate myself on the things of God with the help of God. 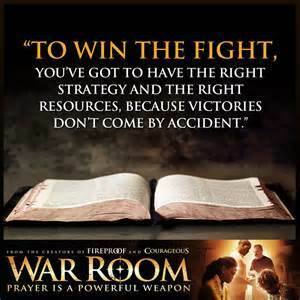 The War Room, is a movie depicting about spiritual warfare which many don’t understand because it is honestly rarely taught. Many believe God likes just silence as if he is a nervous God but there are other levels in prayer many are ignorant to like prayers to command. Something that if often shunned in the church because many actually believe it’s too spooky and it scares people. Although God is a Spirit. There is hardly any classes on the supernatural and you have to wonder why. Why many have so many messy war rooms which can’t pray a roach out of raid…but produce demonic atmosphere instead. 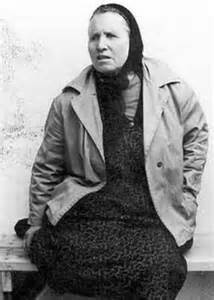 Born in the mountains of Bulgaria…Vangelina Pandeva Dimnitrova , January 31,1911 Died August 11, 1996. She had been born with some health complications and wasn’t named at first because they didn’t believe she would live. (Baba means “grandmother”or elderly woman in Bulgaria) Baba showed many signs of the supernatural but people who were afraid of that kind of power had a tendency to be negative about her gifts and counted it all up to be strange. She loved to play games of healing and would use herbs. An odd child or labeled a strange bird one might add… Many said they didn’t believe …But did they? As a young girl tragedy hit her home when a tornado hit and threw her in a field. She was found with sand in her eyes and couldn’t open her eyes because of the pain. 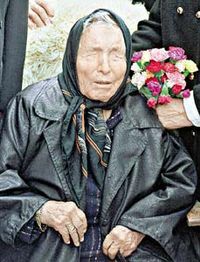 Her family had been severely poor and couldn’t afford the proper medical attention to correct her vision which grew into terminal blindness. Millions believed she possess the gift of foresight and the gift of healing. Although many skeptics.. would say She had allegedly foretold of the break-up of the Soviet Union and the disaster of Chernobyl Disaster. During World War ll, she had attracted more believers , prophesying and some believe her to heal many of the sick were with herbs from the earth. It was also rumored that many “government officials” visited her but kept it a secret and she “allegedly” been under observation by United States Intelligence because of her ability of foresight to what’s to come. She predicted that the United States will have an Afro American President that will have great opposition. After dodging so many health ailments. Baba… what had been also noted that she predicted her own day with death! Many predictions as one might one to label her from a mystic to a psychic…Whether anyone believe in her abilities or not. I found myself interested in such a turbulent history of surviving being poor… but yet she was popular not based on her skeptics but she operated in a level of the supernatural. Which I find so mind blowing…considering people believe in the miracles of Jesus… and he said “greater works will we do”… Yet, the church today is terrified in anyone operating in a power that they can’t control or explain! I had asked many questions about Baba’s threat to the United States. Not too much its been said unless you dig a little bit deeper outside of the Internet. She has been faintly mentioned in books that had been written years ago. Whatever Baba said has been somewhat distorted by certain medias to discredit exactly who she really was! No one ever express her love for God and believing in the power of God. I am not an unbeliever of the supernatural but I seek answer outside the limitations of boxed up religion. I learn easily as a child and in ministry today. The greatest challenge is UNBELIEF… Many people believe in organized religion but can’t grasp the things of the Spirit World. When speak in these terms… we are often labeled “spooky”… What I really come to understand as much as people claim to know God and love him fail to understand the power that comes with HIM! The human flesh loves formulas and things they can explain. Skeptics might say… that’s what you believe! All I have do is ask simple questions… What keeps the Universe together? How does a brown cow eat green grass and gives white milk? Who planted creation? I ask this last question… If she wasn’t as powerful as they said she was… Why then were they so afraid of her? Baba story is bigger than this short version of what I want others to come away with it. I wanted others who never heard of her to know her and get an idea of just a glimpse of God’s power…There is so much more to her history! When I was first introduced to the Ministry of Rabbi Jonathan Cahn… SENIOR PASTOR, AND RABBI… AT (HOPE OF THE WORLD MINISTRIES…IN WAYNE, NEW JERSEY)…JERUSALEM CENTER/BETH ISRAEL. A power house… Jewish Messenger of God! I was more than impressed with his great intelligence and his knowledge of all kinds of history but simply “blown away” with how God uses him in the prophetic! For my personal studies… I love history and doing research! He has an “awesome” ministry to become a partner with and should a be definite part of anyone’s library, especially if you want to understand what’s to come in prophetic future events! People have a hard time trying to understand how God can supernaturally connect all us to bring pieces of the puzzle together in the end times. I know that the church has done a disservice by limiting people to learning, educating and just knowing! Many of our westernized customs has dumb the people down from the church understanding the supernatural. Rabbi Cahn does that for me… He will make you think and put your mind to study. And he will definitely put you back into the bible and world history! He isn’t ordinary… be EXTRA- ordinary Man of God. I know that this man has a “deeper call “on his life… in this 11th hour. I strongly “urge” people to purchase his books …Since 9/11 this book has taken the world by storm. You be a little taken back how he can tie in history with current prophetic events! His first books I presented awhile back but on another site called the HARBINGER…. Check him out and leave me some feedback… I guarantee he will stir something inside of you… Christian or not! THE LETTER X IS…. THE 24TH LETTER IN THE ALPHABET.. and in English orthography is considered the “voiceless” consonant when its followed by a stressed vowel or consonant. Not to be confused with the mathematical “X” which is the INDEPENDENT VARIABLE OR UNKNOWN VALUE! Just think about that for a minute? Depend on where the X is located… there is a certain position… stressed! Yet, in math… NO ONE KNOWS THE VALUE …UNLESS??? For many of you who don’t know I love me…some X-Men. When you are considered “eccentric” … or above average, extremely powerful and gifted in certain areas… This is an X-factor! I related so well with Super Heroes! The X-men has more spiritual connotations that people tend to believe. I love the cartoons and I own basically every last Marvel Movie about them. In my day because when you are considered … “different” and or “exceptional”…This was my way of expressing who I was. These fictional characters may not be a light-bulb moment for some of you… but those of us who have something that many fear, but they want it and can’t handle it! Some people hate you because of the way you see life even if it’s in another dimension and with different powers. How many times I have been called weird or ostracized by my own…because I was born with the gift foresight! The character that most identifies me. out of the Marvel characters…Was Jean Grey AKA the PHOENIX(Redd, Ms. Psyche, Marvel Girl). 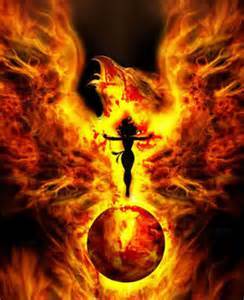 The “Phoenix” is my spiritual name which has loads of fire power and telepathic abilities. The danger is YOU MUST be mature enough to handle them. … Love you , hate you at the same time. They know you possess a “uniqueness”! 2) They want to capitalize physically and or spiritually… If it’s a money-maker, crowd pleaser, a movement for popularity… they will downplay you while getting all the accolades off of your gift(s). Sometimes people with the X-factor become defective because of being mishandled… some place in their lives. When X factor.gifted people are not nurtured properly they have a tendency to draw THE SAME OR MORE dysfunctions and other people like themselves. I rather have someone with character to mentor than someone who is exceptionally gifted… this is why we have some of the most gifted people with a lot of emotional baggage and damaged because parents allowed anyone to sow into their lives. The X-Men might be fictional but I dare you to start watching or studying the characters… When we learn the lesson in each movie…I come away with a lot! TALENT… is something you work at with the question if its stressed it might work for you it might not .. It all depends…. like in the alphabet. Neither gift or talent work against each other… but when the are together… Results of who you are and what you are.. are amplified. If what you do comes natural its a gift! Talent comes up tricky… because talents are often “seen” or determine on one’s perception but not necessarily the truth. What some call talent sometimes might be disasters! That’s why its tricky! Each and everyone of us possess something that they should proud of … Some of us just have that little something special and a little something extra…It doesn’t mean God can’t use you… But he knows who will go that extra mile and that is why many of them have extraordinary staying powers… to possess their journey and accomplish their destiny! Yet, I want us to learn that both needs to be nurtured, care for and looked after… and without proper protocol and discipline they are BOTH easily lost… if they are in the wrong hands, and mishandled! 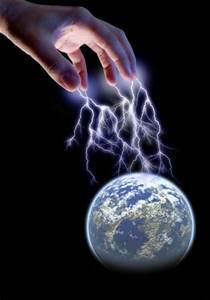 When you have a the X-factor be prepared…although you might possess this or these natural abilities… Persecution is also amplified! The X-factor will face much opposition and many challenges. We are born with another level of endurance that the average person might stress out over! Please remember there is always variances and differences… But there is something that God deepens the X-men and women with! His EXTRA…ordinary on your ordinary!